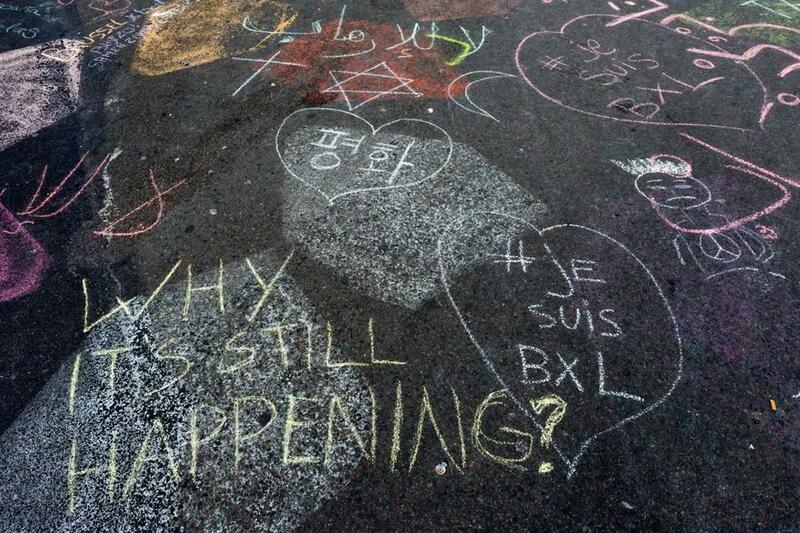 Solidarity messages were written in chalk at a makeshift memorial outside Brussels’ stock exchange. Tuesday’s multiple terrorist attacks in Brussels, which killed upwards of 30 people, tell us two very important things: Paris was not a one-off, and the United States and its Western allies in the war against ISIS need to be seriously concerned about more such attacks in the near future. Today’s bombings are far from the first. ISIS has carried out a pattern of coordinated attacks in the last six months hitting Paris, Ankara, and even reaching Jakarta. While Brussels will cut short any relief felt from the capture of Abdelsalam, it also proves that ISIS did not simply “get lucky” when it hit Paris. For months, there have been hopes that the terrorist attacks against Paris last November, which killed 130, was something of a fluke. However, a detailed report by French authorities obtained by The New York Times on the planning leading up to the Paris attacks should have dashed such hopes even before Brussels. The report details a complex organization with consistent operating procedures and targeting logic. From revealing that ISIS attacks in Europe use a “signature” explosive — triacetone triperoxide, or TATP — to highlighting a shift in targeting beginning in spring 2015, the clear takeaway is that Paris was the beginning of more complex attacks in Europe, not the end. “We need to empower law enforcement to patrol and secure Muslim neighborhoods before they become radicalized,” Ted Cruz said in a statement. The new reality of these complex attacks is different from small-scale lone wolf attacks that came before. They are also a clear departure from the Charlie Hebdo attacks. Those previous attacks took aim at symbolic targets with clear links to anti-Islamic establishments or Israeli or Jewish interests. Now the game has changed. In the word of one ISIS operative, the new marching orders are to “hit everyone and everything.” Those words, from Boubaker al-Hakim in the pages of the March 2015 edition of Dar al-Islam, ISIS’s French online magazine, presage the new wave of attacks that started last fall. These attacks are deadlier, a series of complex, multiple-aim-point strikes that often involve suicide attacks to inflict maximum casualties, not just grab shock-value publicity. On October 10, 2015, two suicide attackers struck within seconds of each other at different places outside the central railway station of Ankara, killing over 100, nearly 10 times more than in any of the previous terrorist attacks in the West associated with ISIS. The same month, the group brought down a Russian plane flying from the Sinai with a small bomb smuggled onboard, killing 224. Two weeks later they hit Paris, overwhelming the emergency response system with shootings and bombings across the city before initiating a major hostage situation at the Bataclan theater. The attacks continued in 2016, with an international neighborhood in Jakarta seeing a complex attack using guns, grenades, and suicide vests. 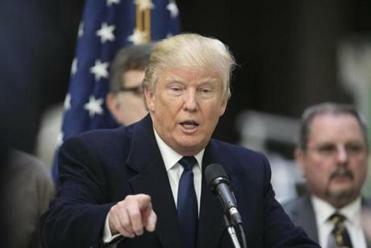 The United States has not been completely shielded, though it remains unclear whether the San Bernardino attacks on December 12 were merely inspired by ISIS rhetoric or command directed. Why is this all happening? Why did ISIS shift from capturing cities and towns in Iraq and Syria to targeting civilians in Europe? The simple answer is that it had to. The spectacular gains that ISIS saw in 2014 in Syria and Iraq are a thing of the past. Now, territory is slipping through the group’s fingers. Recent analysis shows that ISIS has lost nearly a quarter of its territory since the start of 2015, including over 40 percent of the populated territory it held in Iraq. Until the middle of last year, ISIS was carrying out hundreds of suicide attacks and dozens of complex, multiple aim-point strikes, all of them in Iraq or Syria. As coalition forces began to roll back the group in spring 2015, those numbers started to decline. Likely at the same time, ISIS began to plan its attacks in Europe, searching for a game changer, anything to stop the loss of territory. Attacks in Western countries are meant to do two things: force those countries to drop out of the coalition, or pressure them into overreacting. Either reaction would give ISIS breathing room and a recruiting bump. ISIS showed that they can hit members of the coalition where it hurts, but Brussels and Paris are also signs of desperation. We should prepare for more attacks but not let the threat push us into bad policy decisions. The answer is not to rush into Syria and repeat the mistakes of the invasion of Iraq in 2003. Unfortunately, there is no immediate solution, and Europe woke up Tuesday to find that the nightmare of Paris was real. There is no reason to think that more is not coming.